Made from industrial strength MDPE (Medium Density Polyethylene) the 7000 litres is a long lasting durable Water Tank. Quality made industrial water tank, ideal for collecting rainwater. Comes fitted with lifting eyes for easy moving. 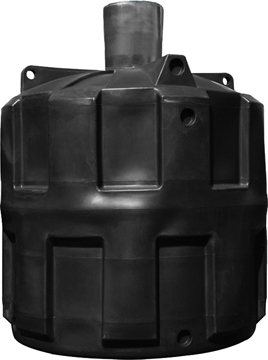 This underground water tank comes ready moulded with six potential 4" (110mm) inlets/outlets. These have been premoulded at suitable positions for both inlet and outlet pipework.